Calgary, Alberta – The Calgary Police Service Guns and Gangs Unit has laid drug trafficking charges in relation to high-potency fentanyl, which was seized during a traffic stop in January 2019. In late 2018, investigators in the Guns and Gangs Unit identified a suspect who was believed to be trafficking drugs throughout Calgary. In January 2019, with the assistance of the RCMP, a traffic stop was conducted outside of Canmore, Alberta in relation to this investigation. 11.1 grams of a Class A precursor, which is commonly used in manufacturing of fentanyl. Police also seized a small amount of money from the vehicle and multiple cell phones. Detectives sent the drugs for analysis and the powdered fentanyl was discovered to be highly potent. 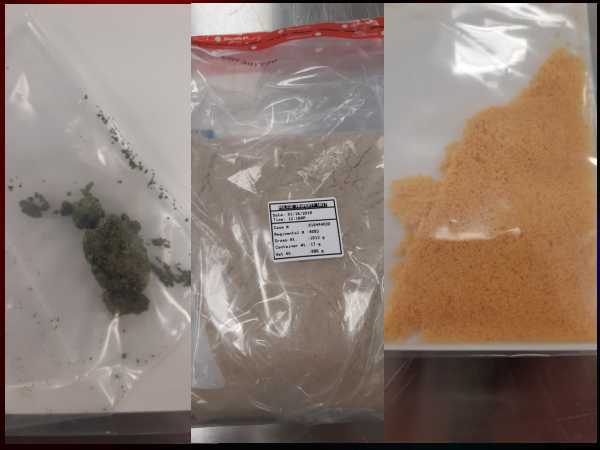 The powdered fentanyl is believed to be approximately 10 to 15 times more pure that was is typically sold at the street-level in Western Canada. On Wednesday, April 10, 2019, police executed a search warrant on a residence located in the 0 to 100 block of Rosery Drive N.W. and took one man into custody. Jonathan Joseph SUNSTRUM, 58, of Calgary, has been charged with three counts of possession of a controlled substance for the purpose of trafficking and one count of possession of a precursor for use in the production of a controlled substance. He will next appear in court, Friday, May 10, 2019. Police are still working to determine the potential origin and destination for these drugs and the investigation remains ongoing. Detectives would like to thank the RCMP for their assistance in this investigation.